Edwin Barkley Boldrey was born in Indiana on July 17, 1906, the son of a minister and grandson of a doctor. His mother's parents were from Scotland and, spending summers with them as a child, he formed a strong and lasting affection for things Scottish. Influenced by his parents and his Latin teacher, he pursued a liberal arts education as a solid foundation on which to structure a life's work. After graduation from DePauw University, he followed his growing interest in medicine, like many students during the Depression, working to continue his education. His interest in the nervous system was awakened by the work of Bailey and Cushing. Three days after receiving his M.D. degree from Indiana University in 1932, he married Helen Burns Eastland, who became his constant partner. After a surgical internship, he was offered a position at the Montreal Neurological Institute by Dr. Wilder Penfield in 1935. With Penfield, he studied and published original contributions that provided the fundamental anatomical correlates of much of the clinical physiology of motor and sensory cortical mechanisms in humans. He completed his residency in 1939. As a physician, Dr. Boldrey demanded uncompromising attention to detail and concern in every act bearing on his patients' safety and welfare. His character was matched by his kind and gracious nature and a ready wit, and the fellowship of his colleagues and residents was a rich and valued aspect of his professional life. The Edwin B. Boldrey Lectureship at UCSF, established in 1983, reflects the maxim he adopted from Michaelangelo, and lived by- Ancora imparo, I am still learning. 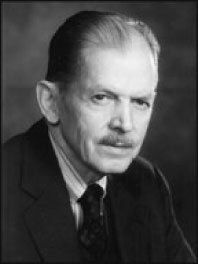 The Edwin Boldrey Award for Research In The Neurosciences was established by the San Francisco Neurological Society in honor of this great mentor and physician. The Edwin Boldrey Award is intended to recognize a research project in neuroscience. The honorarium for the Boldrey Award is $500.00. In addition, the Award winners are provided one night's complimentary lodging for the annual meeting and invited to the SFNS Annual Dinner. CALL FOR PAPERS IS ANNOUNCED IN THE WINTER. PLEASE CHECK THE SFNS WEBSITE FOR UPDATES.